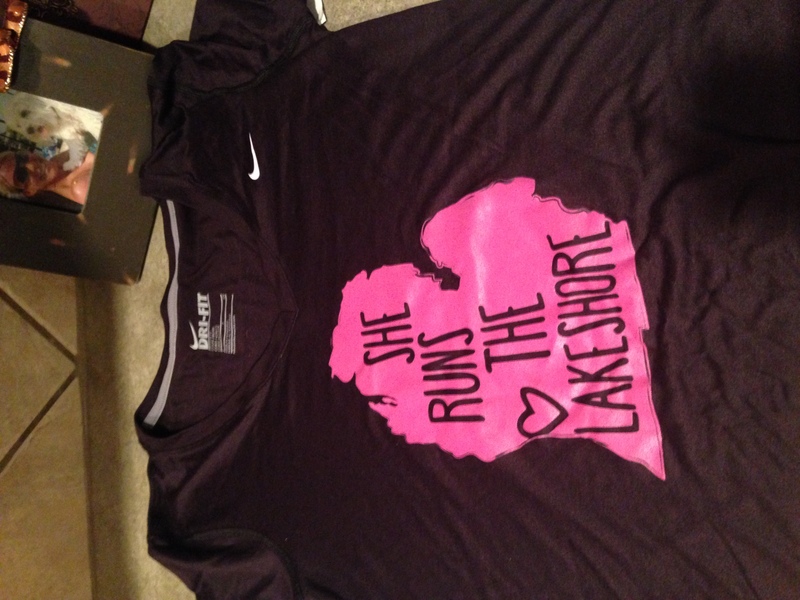 It got me thinking – If I were still “home” would I be running the Michigan Lakeshore? I think about that all the time. Would I still be a “runner” if I was still there? And, if I were still a Michigander, would I have reached the same athletic goals I accomplished so far? It’s hard to think about my life without running as a VERY big part of it. But, I also can’t imagine running life in the north? Getting up for early morning runs in zero degrees, wind chill below zero, flurries. Oh my! I scoff at the idea of 40 degrees and wind these days. You might say I’m just a “seasoned Texan” but I would beg to differ – I’ve always hated the cold and snow. Which is why I‘m thankful every day that our path has led to Dallas. I love that I can wake up in the morning and enjoy the outdoors, soak in the early sun on my face and breathe in the fresh air without freezing my nostrils and or coughing from the cold air hitting my lungs. Receiving this sweet tee meant more to me than I think she realized. It reminded me that no matter what, Michigan is home to my first runs and will always have my heart. 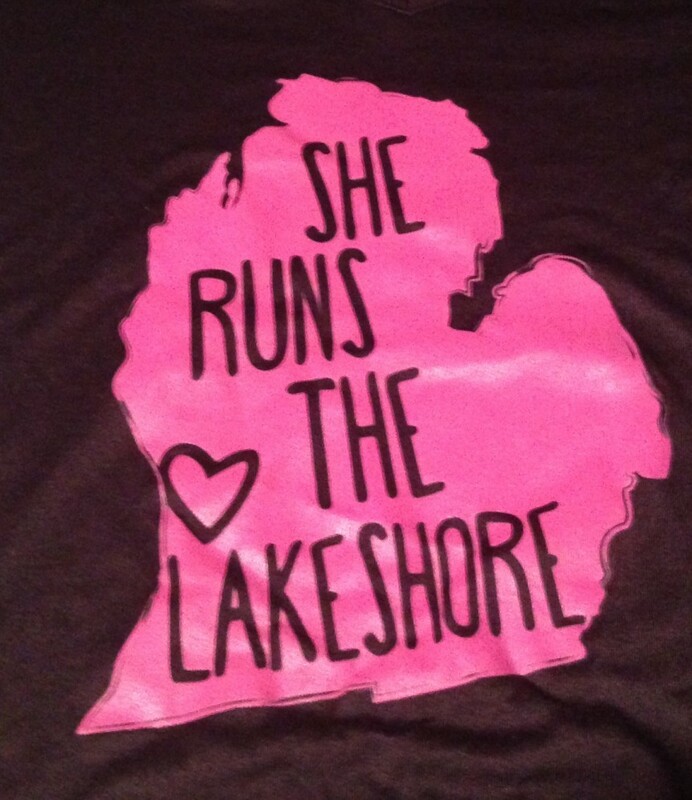 And, that everyone back in the Mitten is supporting me, cheering for me and praying for me every step of the way. Gazelle Sports is very similar to our Luke’s Locker with several locations regionally and caters to the athlete who wants to celebrate an active lifestyle. They have everything from running to swimming to soccer to cycling – you name it! And, they have training groups and even host their own road races! 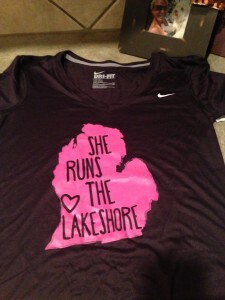 Maybe you’ll see me there next year Running the Lakeshore.